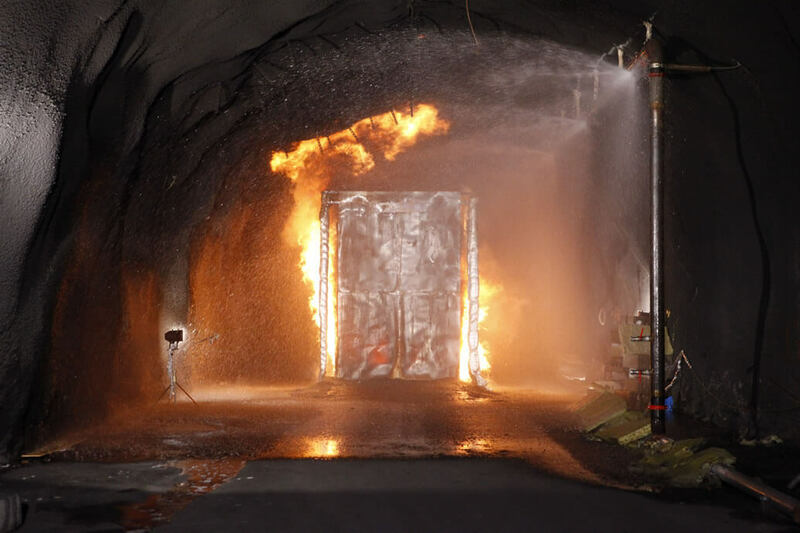 The Latest Research on Fighting Tunnel Fires has been published by TUSC – Tunnel Underground Safety Center – a research and development centre where researchers, engineers, government authorities, and funders gather around a common goal: improving safety in tunnels and underground structures, both today and tomorrow. At present, TUSC’s funding comes from the Swedish Transport Administration, the Swedish Fortifications Agency, SKB (Swedish Nuclear Fuel and Waste Management Company), and RISE. Discussions are ongoing with other possible stakeholders. RISE will be able to carry out research projects on behalf of society and the industry thanks to a total research funding of at least 3.5 million SEK per year for five years. The aim is for this base-level funding to be supplemented with research funding applied for in a traditional manner, such that the total annual turnover for research in the area will be roughly 15 million SEK. Through the building of knowledge, TUSC’s vision is to contribute to safer underground structures, develop innovative technologies, and ensure that new methods reach those who need them. By communicating, developing, and ensuring that research results reach the market, new solutions to complicated infrastructure projects become possible, the safety of existing structures and rescue operations in underground environments is improved, and the processes behind these improvements are made more efficient. For several years, RISE (previously SP) has, with the assistance of strategic competence funds, built knowledge platforms in areas that are of importance to industry and society. The strategic investment ‘SP Tunnel’ operated in the area of safety in underground structures, and is the competence platform that formed the basis for TUSC. Strategic competence funds are time-limited and granted in order to develop a particular area of operations, which must then cover its own expenses. The creation of TUSC through substantial external funding is just one example of the benefits brought about by SP Tunnel, which TUSC continues the work of, and which is already established as an important research organisation both nationally and internationally. At present, TUSC comprises more than ten senior researchers, engineers, and doctoral students, and has a wide network of internal and external competences in the fire research area. The broad range of knowledge embodied by TUSC is a key asset for its continued collaborations with its partners. Since its inception in 2009, SP Tunnel/TUSC has grown to become an important partner to government authorities, universities, and Swedish and international industry. Together, SP Tunnel/TUSC and its partners have proposed new rules and regulations, created educational documents, improved decision support for the design of underground structures, and developed more efficient risk-assessment and evaluation methods. TUSC has also contributed to making rescue operations in underground structures safer and more efficient. TUSC has actively participated in infrastructural and technical projects and conferences, conducted commissioned research, and provided basic education. Maintaining and further developing the established knowledge base of TUSC requires directed and long-term funding. By developing TUSC in conjunction with key organisations in the government authority sector, trade and interest associations, and infrastructure owners, needs-based research can in time be implemented in the development work of these organisations. 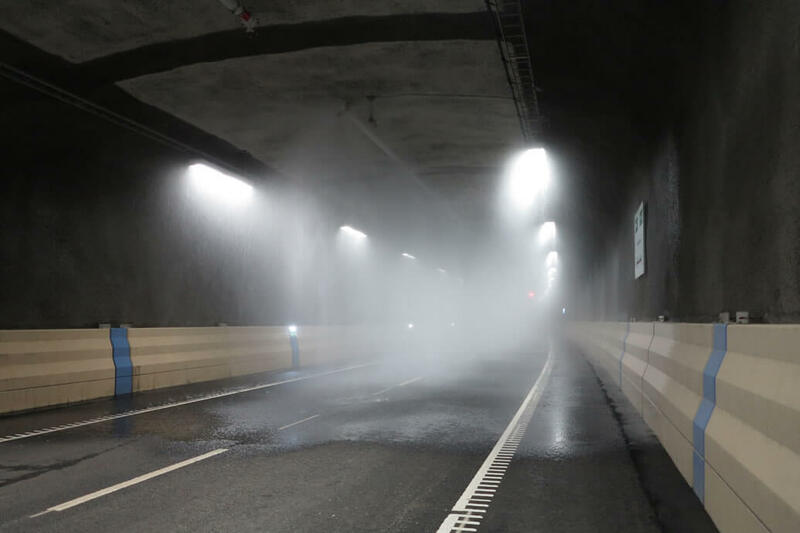 In addition, Swedish innovation power can be improved, as can the safety level of infrastructure – both during operations and in the event of an incident. The Swedish Transport Administration, the Swedish Fortifications Agency, SKB in collaboration with Nationella brandsäkerhetsgruppen (‘national fire safety group’; NBSG), and RISE have signed an agreement that ensures five years of funding of 3.5 million SEK per year, and discussions with other possible stakeholders are currently ongoing. The purpose of the long-term base-level funding is to ensure that the demand for national skills in the underground area is met, and the invested funds will be used in such a way that they contribute to multiple goals, for example by producing answers that can be utilised by multiple stakeholders. Those who seek solutions and contribute to the funding will be able to directly influence the needs-based research that is carried out within TUSC through participation in the TUSC Steering Group. Through consultation with the members of the Steering Group, specific issues relating to the needs of individual organisations will be investigated. Research and development projects can thus be either broad and interdisciplinary – with the intention of solving issues for many stakeholders – or narrower, such that they solve technical issues of a more specific nature.